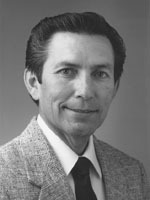 Leonard M. Baca is Professor Emeritus at the University of Colorado Boulder. He earned an Ed.D. from the University of Northern Colorado and has been a professor of Education at the University of Colorado Boulder since 1973. He has taught courses in bilingual and bilingual special education and served as the program chair. Professor Baca is founder and Executive Director of the BUENO Center for Multicultural Education where he has directed and managed millions of dollars in grant funded projects promoting the education of ELs and students with disabilities. He is author or co-author of numerous publications dealing with English learners with and without disabilities, including the Bilingual special education interface (Merrill) and Methods for teaching culturally and linguistically diverse exceptional learners (Pearson).